We had the opportunity to interact with a variety of consumers. Some were big fans of beef and were excited to try out this recipe. One consumer told me they loved beef, but only felt they could eat it once or twice a week due to health reasons. I was able to talk to this consumer about the health benefits of beef. She was very surprised to learn that one 3-ounce serving of beef provides almost half of a day’s protein, B12, and selenium for only about eight percent of your daily calories. For me, the most rewarding part of this event was seeing people come to us with concerns, and after a conversation with them, seeing them go over to the meat case and buy beef. 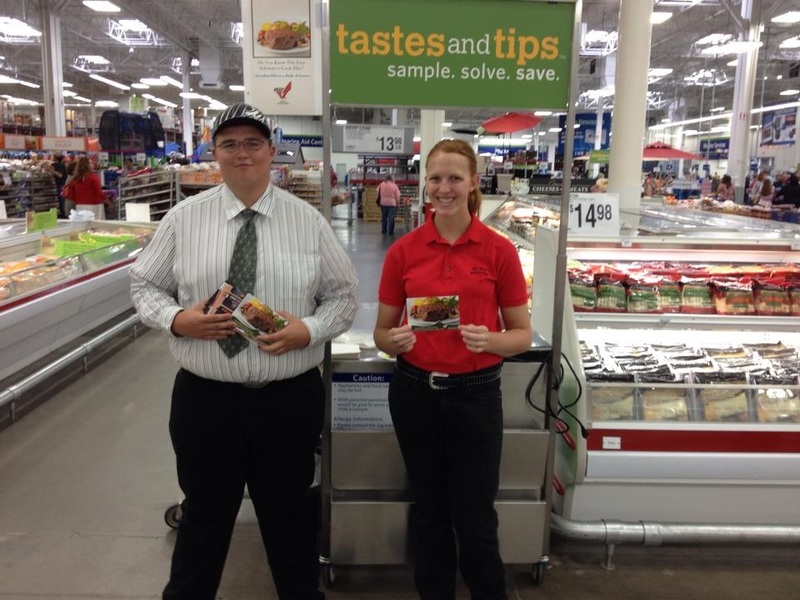 The Wyoming Beef Ambassadors will be doing another beef promotion event at the Cheyenne Sam’s Club on September 6-7. We look forward to seeing you there! To like the Wyoming Beef Ambassadors on Facebook, go to: https://www.facebook.com/WyBeefAmbassador. I have a beef with people who have a beef with beef! Go beef yourself, because it’s what’s for dinner.